Make room for this smart desert cooler which occupies less space, provides high air delivery and saves you money on cooling costs. This high-end cooler boasts a wide range of features, including a huge water tank with ice chamber, 4-way air deflection, auto fill capability, water level indicator, 3-speed control, and castor wheels for easy mobility. 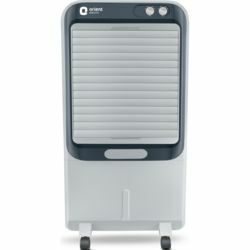 It also features humidity control function which allows users to operate this cooler even in humid conditions. 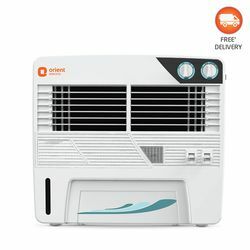 The Orient Electric Tornado Grand CH6002B air cooler scores high with its strong air delivery which sends a powerful gust of air and cools the room quickly giving much needed respite from the scorching summer heat. It has air throw distance of 16.7 meters and amazing air delivery of 5100 cubic meter per hour. Bring home this powerful air cooler and experience the difference. 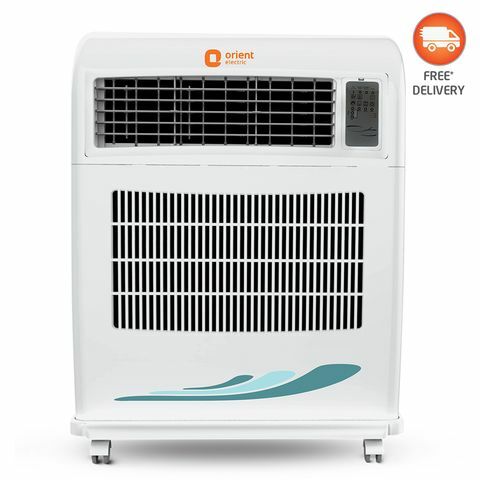 Make room for this smart desert cooler which occupies less space, provides high air delivery and saves you money on cooling costs. This high-end cooler boasts a wide range of features, including a huge water tank with ice chamber, 4-way air deflection, auto fill capability, water level indicator, 3-speed control, and castor wheels for easy mobility. 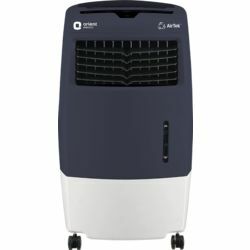 It also features humidity control function which allows users to operate this cooler even in humid conditions. 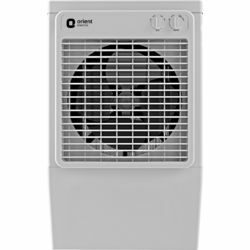 The Orient Electric Tornado Grand CH6002B air cooler scores high with its strong air delivery which sends a powerful gust of air and cools the room quickly giving much needed respite from the scorching summer heat. It has air throw distance of 16.7 meters and amazing air delivery of 5100 cubic meter per hour. Bring home this powerful air cooler and experience the difference.